Without signing up, you can start drawing on a blank page. You can choose different colors to draw on the page. When you are done, it gives you a link that you can share with others. 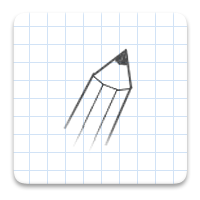 The link shows the actual drawing of your sketch on the canvas. Students can draw their live cards for birthdays, mother’s or father’s days, xmas … They can send students a greeting card for special days or different occasions. Students can also create their own mini animations using this tool and share them with others.